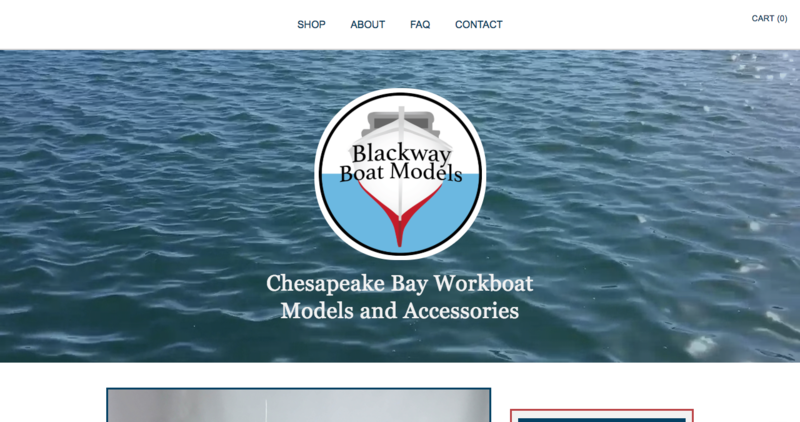 Bruce Blackway approached me to design and develop an ecommerce site for his boat model and accessories business. I used the Webflow platform to design and build the site along with ecommerce integration from Foxy.io. I did not have control over the logo or product photography. 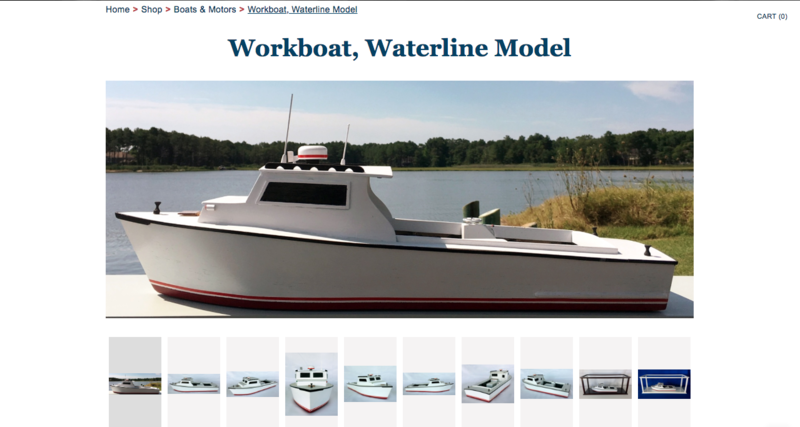 "It was Dec. 2016 when I had a stroke of good fortune and found Carly Bruce online as a potential source for creating a new website, a process that was tremendously baffling to me yet one I knew was necessary in this day and age in order to be able to sell a line of high quality boat models online to my niche market. Early on in the vetting process, I had a very good feeling that Ms. Bruce was going to be my person-of choice for this project. And she has not disappointed me in any way. 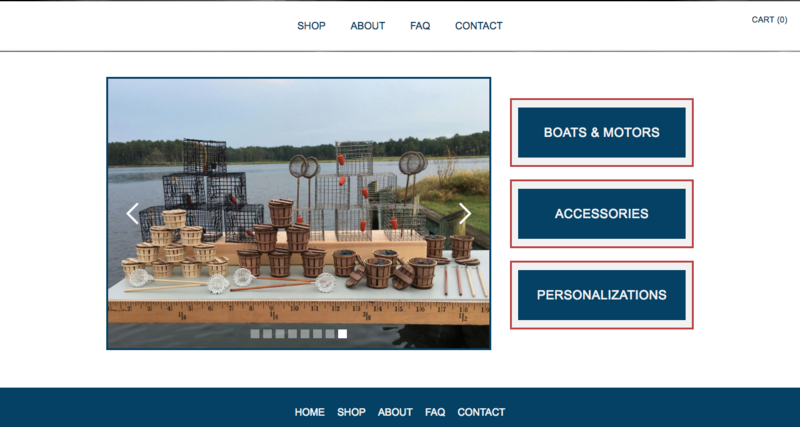 I ended up with a superb website that has great appeal to my customers, is easy to use from an e-commerce standpoint, has excellent SEO and contains all the elements I originally envisioned for this project. She has proven herself to be very creative, talented, detail-minded, thorough, analytical, patient and so much more. Would I use her again? Yes! Would I recommend her to others seeking web design, web enhancement, new websites, etc.? Absolutely. Would I expect her to do an excellent job for others? Of course. Should you, her tentative new client, contact her? Yes. Today. And now the selfish part of me wants all readers of this testimonial to totally forget what I’ve written because I want Carly to always be readily available for MY future web-related projects only!" 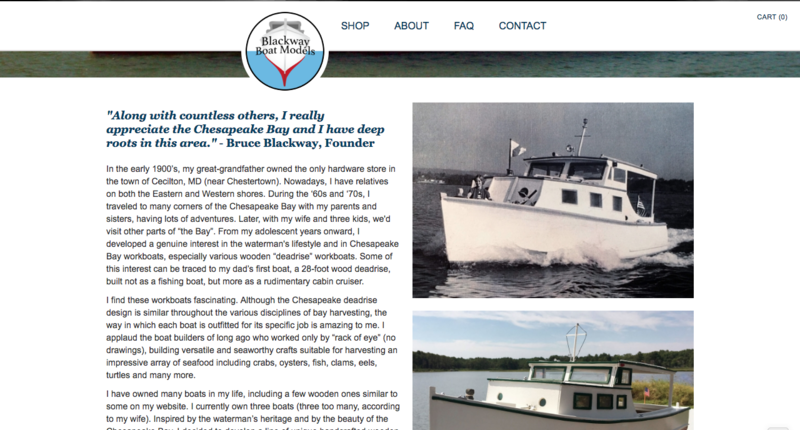 Bruce has a deep connection with Chesapeake bay so we wanted to highlight that history. 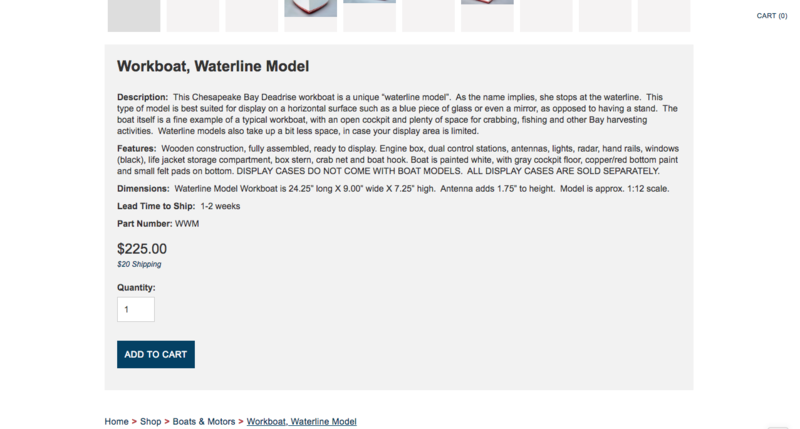 Each product has a tabbed gallery of images, descriptions, and add-to-cart functionality. I'm available to discuss new web design, development, and product design projects. Get in touch if you like my work, process, and think we could make an awesome project together (or if you'd like to learn more)! I'm looking forward to your message.